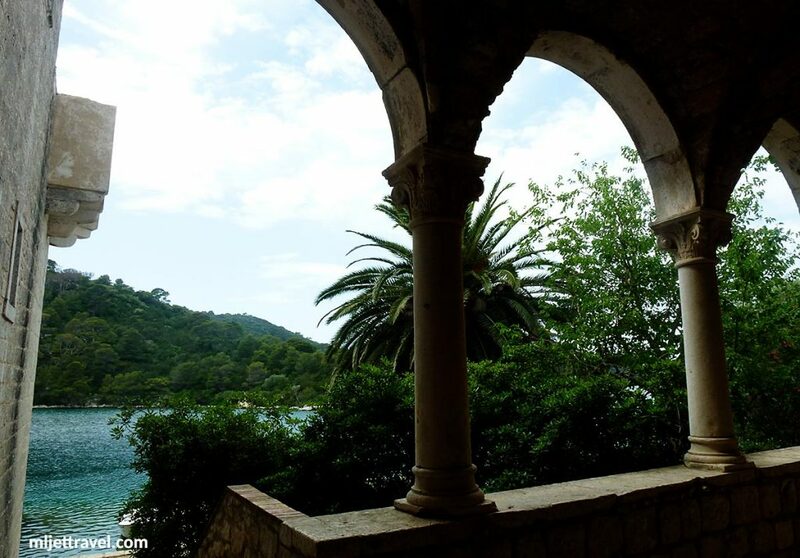 The Church and Benedictine Monastery on St Mary’s island on Mljet are among the oldest church complexes in the Adriatic. 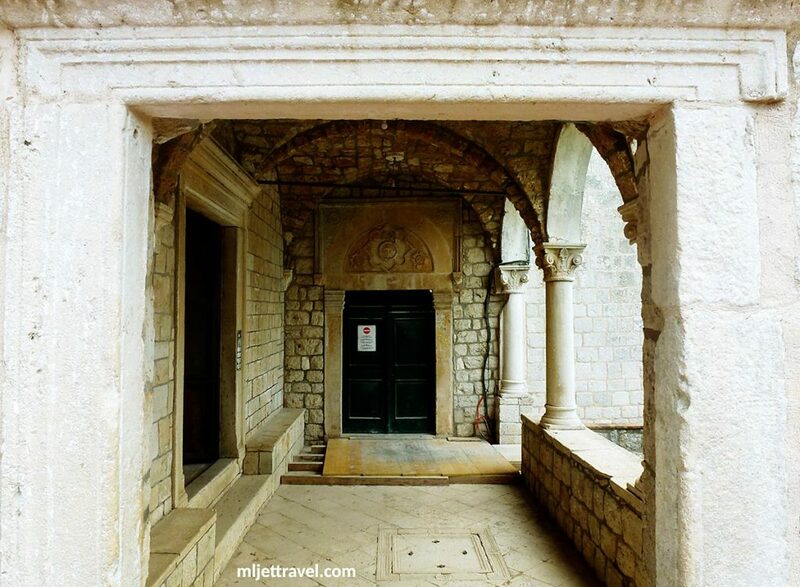 This valuable monument of Croatia’s Romanesque culture belongs to the Diocese of Dubrovnik and is opened for visitors all year round. It is located within the National Park and if you are visiting the Island this is the monument that shouldn’t be missed. 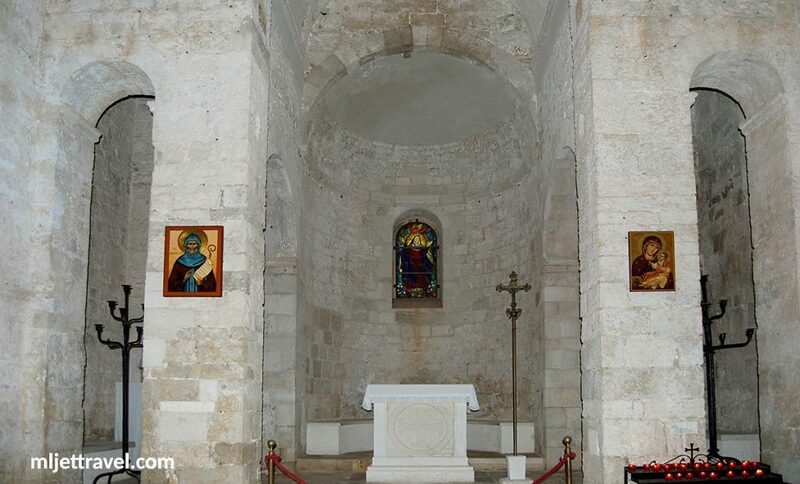 The history of the Church and Monastery dates from 1151 when Benedictine monks from Puglia, a southern region of Italy on Gargano peninsula, known as Pulsanesi Eremites were given the island of Mljet as present or donation by Duke of Zahumlje, the current ruler of the modern-day regions of Herzegovina and southern Dalmatia. 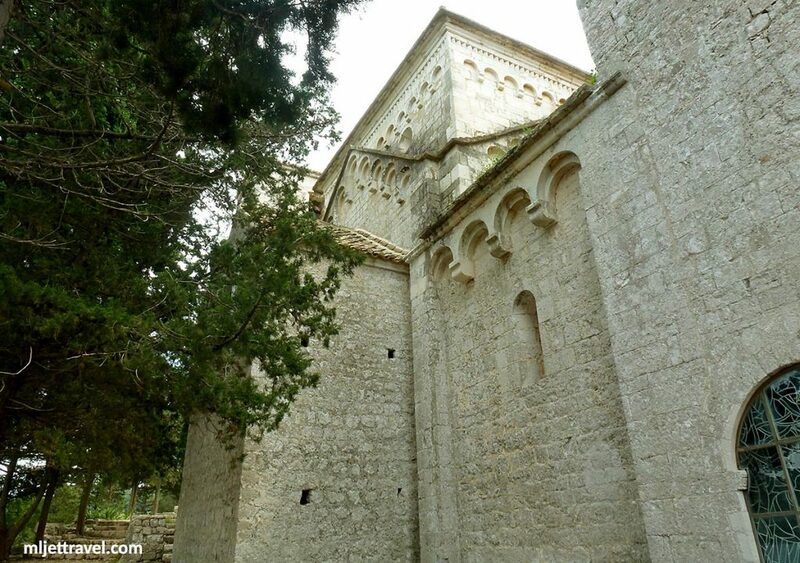 The Benedictine monks, who belonged to The Abbey of St May’s of Pulsano (Santa Maria di Pulsano – hence the name) built the Romanesque monastery and church of St. Mary on the islet of St. Mary on the ruins of the already existing sacral monument remains. The first mention of the Monastery dates from the 1220s when St Mary’s Monastery’s name is mentioned in the official documents of the time. 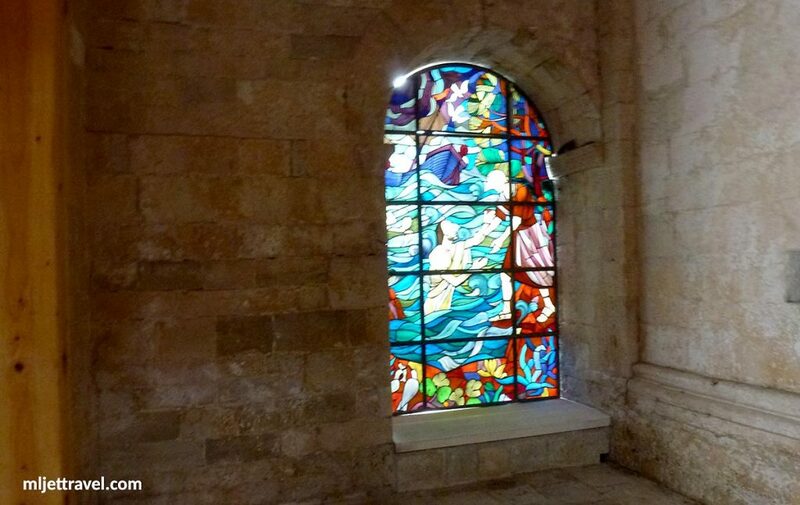 The complex was rebuilt and extended during the 15th and 16th century when Renaissance parts were added to the existing building. 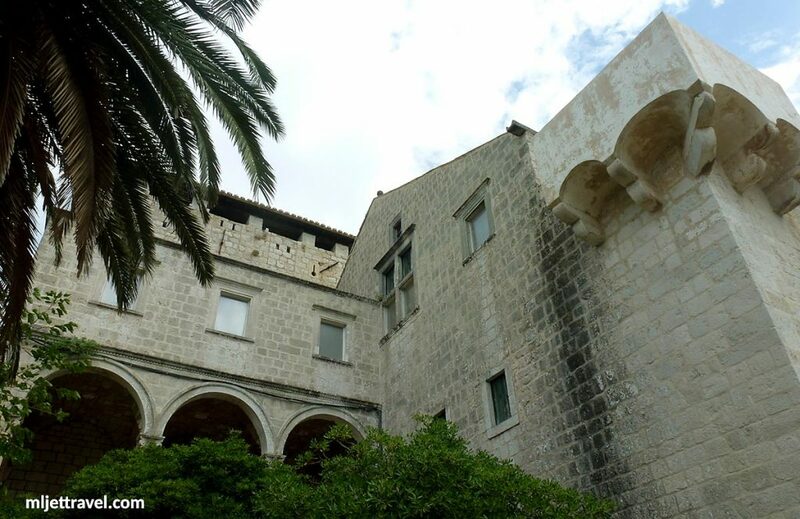 The whole monastery complex was built in the style of a Renaissance villa and garden. 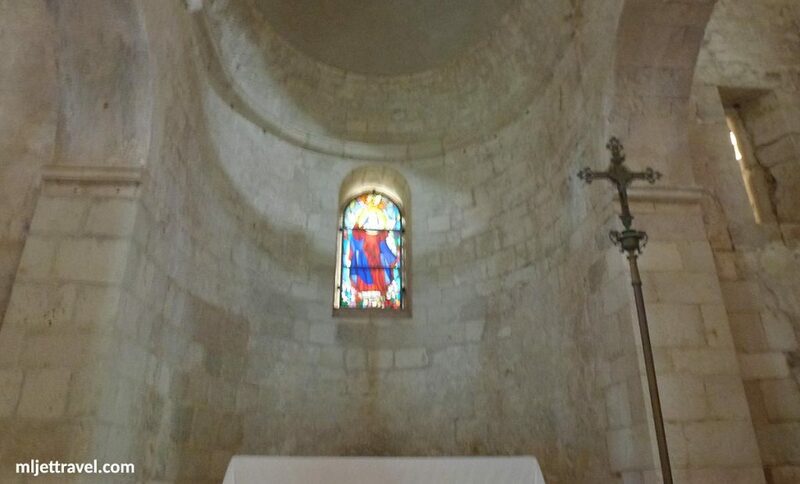 The church is very similar to the Santa Margherita in Bisceglie, Puglia, Italy, that was built in the same period (1197). 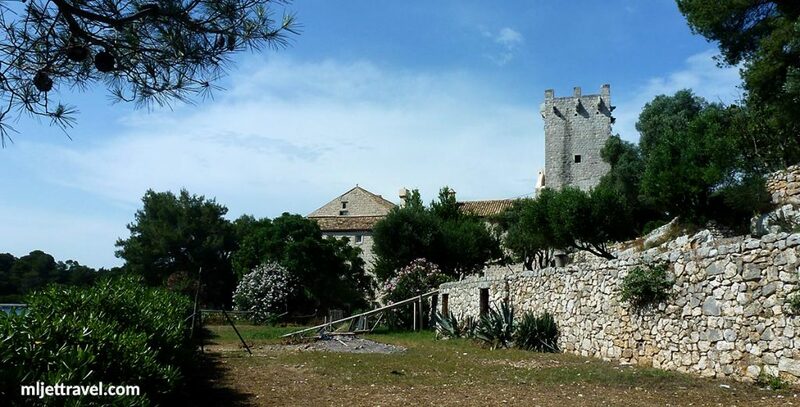 The tower and the surrounding walls that are encircling the monastery, church and the garden were created late in the 17th century. 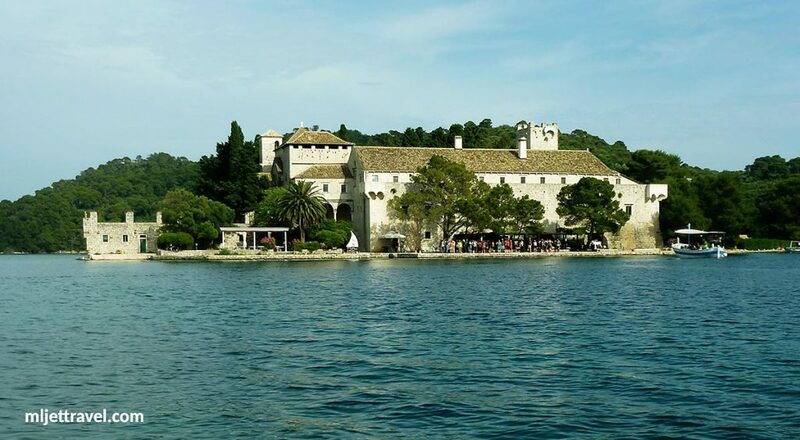 It is a known fact that at the end of 14th cen­tury, the monastery was used as a quarantine, the first one in Croatia, as the monks were also practising pharmacists. 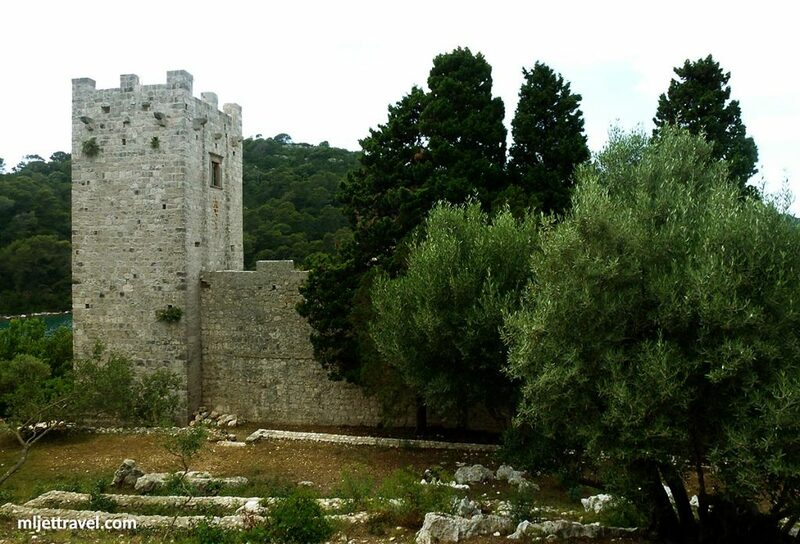 At the time, the whole of St. Mary’s islet was an olive grove, with about hundred olive trees that are still growing there. 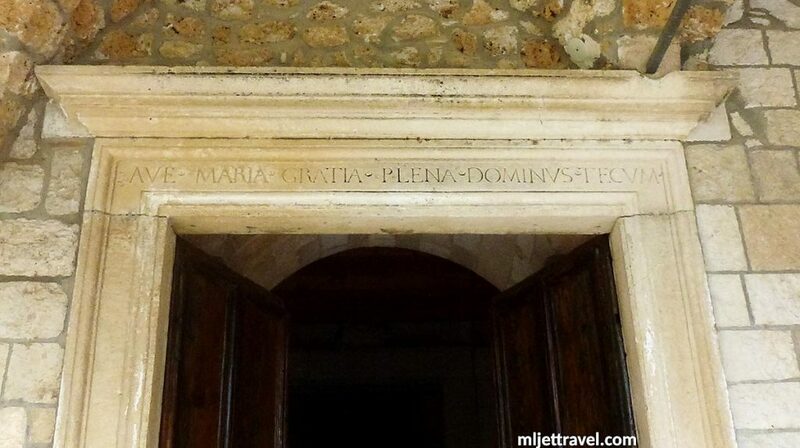 The Benedictines were in the possession of the Island and Monastery until 1808 when they, as well as the Republic of Ragusa, were abolished by Napoleon Bonaparte. 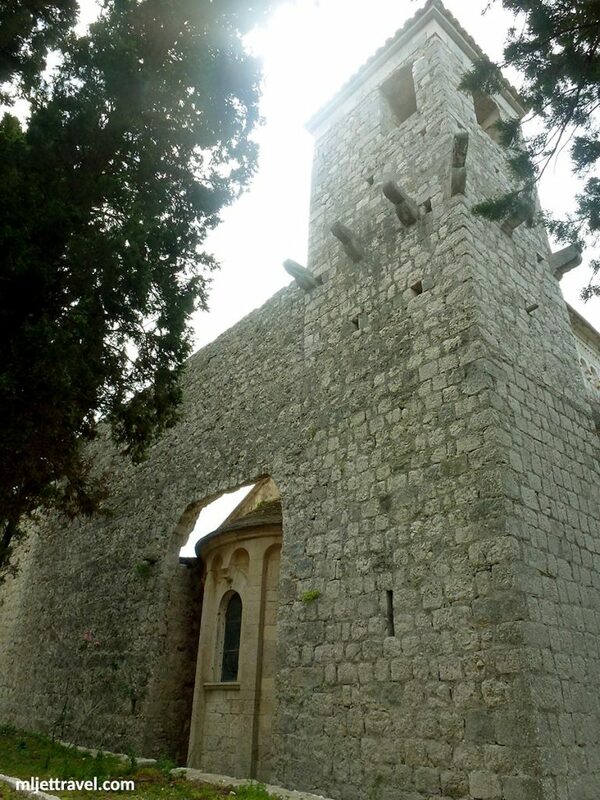 They left on 31.05.1808 and since then the monastery property became the school foundation. 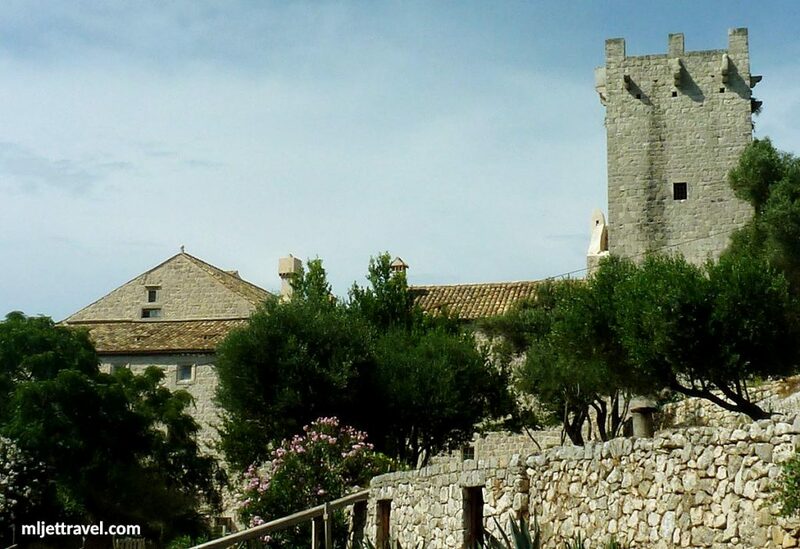 Due to the very high risk of pirate attacks, the whole monastery complex was fortified by massive walls and towers. Views over the Monastery from the shore of Large Lake. 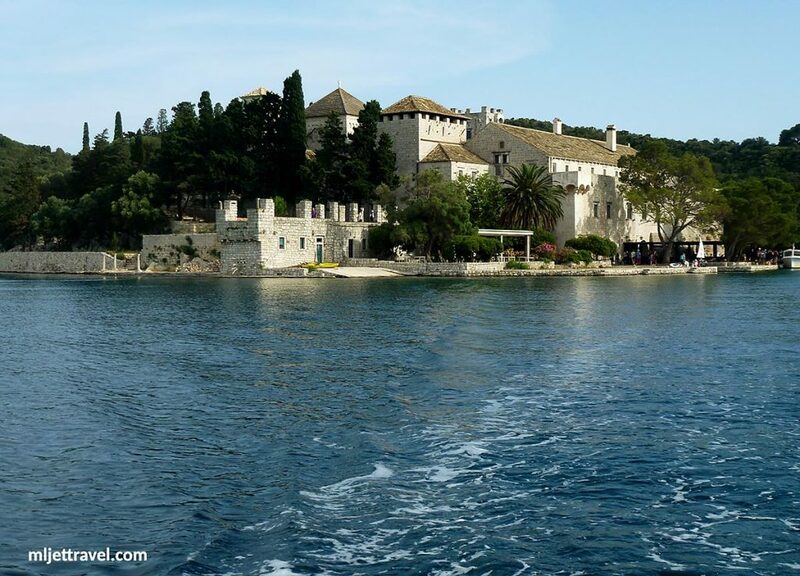 West facade of the Monastery seen while leaving the Islet.